Want an easy dinner or even give a gift to someone special? Pop’s will take care of it for you! 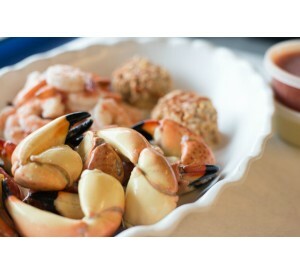 Pop’s Dinner for 2 includes 2lbs of your choice: medium, large, or jumbo stone crabs with half a pound of cooked shrimp, 2 crab cakes, one of mom’s famous mustard sauces, one cocktail sauce, two mallets and a bottle of fine white wine.